EBR-I nuclear reactor heat exchanger. The Experimental Breeder Reactor No. It was built near Arco, Idaho, USA, and operated from 1951 to 1963. It was designated a US National Historic Landmark in 1965 and added to the National Register of Historic Places in 1966. 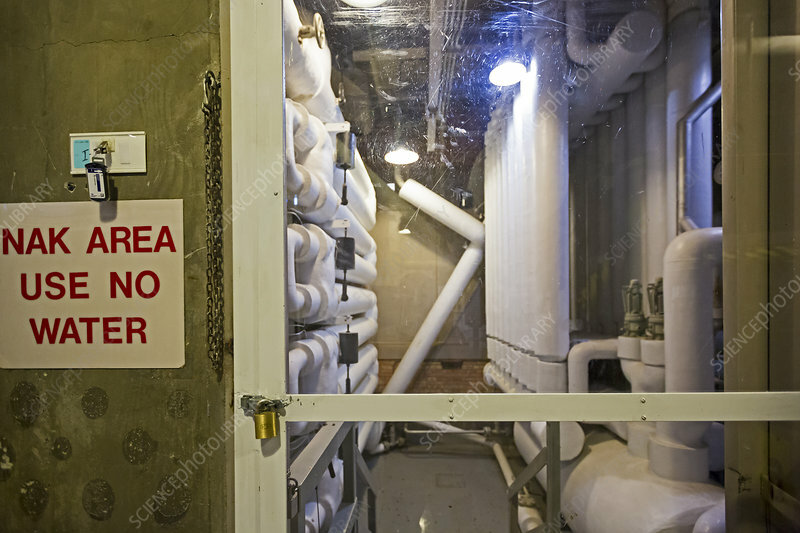 As indicated by the sign at left, an alloy of sodium and potassium (NaK) was used in these pipes.